Redco™ FRP panels are easy to install over existing wall materials such as drywall or concrete – resulting in a water-proof installation once the joints and seams have been sealed with caulking and moldings. The textured surface provides protection from abrasion and denting, keeping it looking new for years after installation. 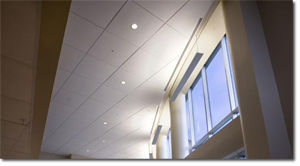 Redco™ FRP is a glass fiber laminate that is lightweight, strong, and shatter-resistant with excellent physical properties. It is commonly used as wall and ceiling panels. Redco™ FRP also meets American FDA and Canada Agri-Food requirements for direct food contact. *At this time Redwood Plastics and Rubber is only able to distribute FRP wall panel in Canada.